La Union has been buzzing with so much life these past couple of years. Ever since TPLEX was finally finished, it now only takes around 3-4 hours to get to your favorite beach hotspot. 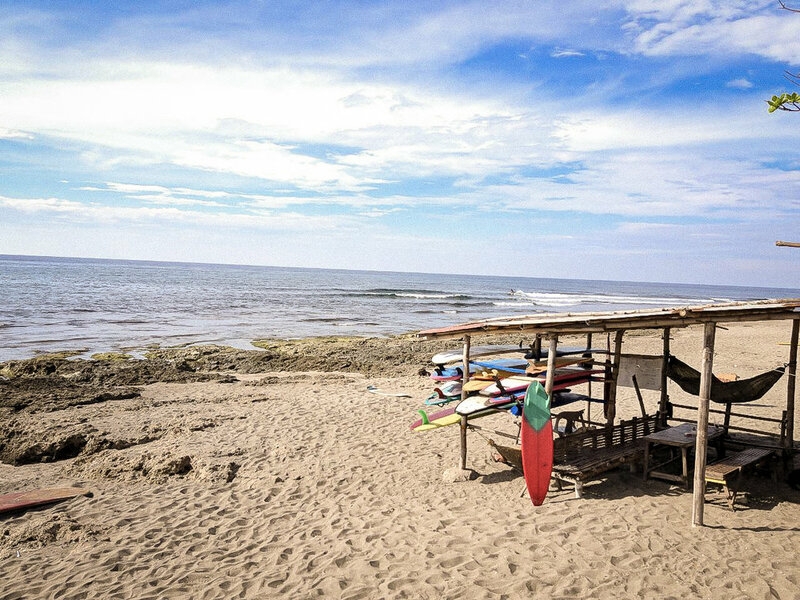 Surfing, partying, chilling and just enjoying the sun, nothing is impossible now in La Union. With the influx of people, business has also been flourishing and the roads are now littered with new and exciting food. A few weeks ago, I find myself driving out of town (my first time in a few years) with Adi & Matt (one of our favorite couples) who were so kind to take on the challenge of babysitting Yñigo. Bobby had some errands to finish, so he took a bus going there. 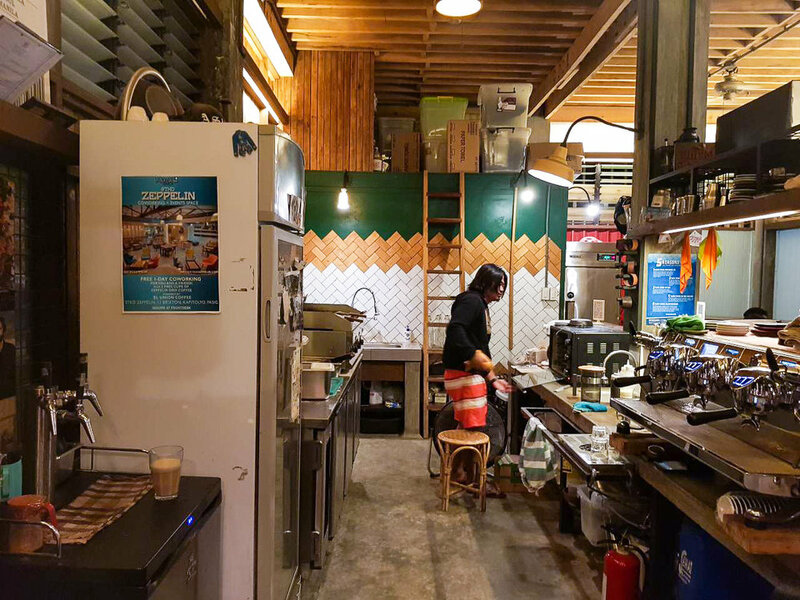 San Juan gives off a surf town, indie vibe - offering third wave coffee, brick oven pizza, sulit tacos, and home-cooked meals served at locally-owned roadside eateries. Its beach is often populated with surf junkies, beginners and wannabes trying to catch a wave, or families who just want a sweet escape for the kids. Being here makes people feel this surge of happiness. That kind of "happy" that makes you feel you never wanna leave. Feeling ko nga minsan may gayuma yung lugar na 'to. We booked two nights at the San Juan Surfers Village - a resort that I deeply appreciate for using elements found in indigenous Filipino homes. 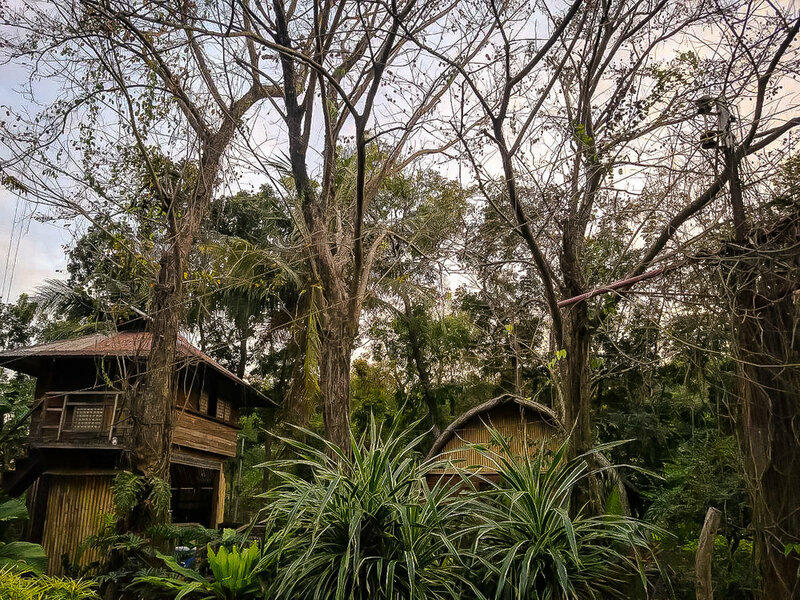 There are four casitas that stand above this small body of water, a loft-type villa for bigger families (it has its own kitchen/dining area), and Igorot-inspired houses for backpackers or those who just need a place to sleep in. When Bobby & I saw the place, we fell in love with it. But I can't say the same for my friends. The stilt pathway going to the casitas was pretty steep, and one of the ways to go up the casitas was made of flimsy wood so it's not that safe for families with small kids. Service was generally normal for us, but if you're used to staying in fancy hotels & hostels, then you'd think otherwise. The place is generally manned by three caretakers. However, they're not the best at being present. It's a huge area they have to maintain - the clean sheets, cut grass, make sure everything's working. They're also the ones managing bookings, but when it isn't relayed to them properly, you will end up having to deal with their staff's confusion and uncertainty. On the flip side, they're very nice and accommodating. Running a resort with three people is hard to manage, especially on peak days. If you're planning to stay here, be sure to load on a lot of katol and insect repellant. If you have linen sprays to ward off bed bugs, go bring 'em. Yñigo suffered from bed bug attacks the first night we were there, and they're pretty nasty. We had two full days, and one whole morning, to enjoy San Juan with our friends and little kuletski. Our first day wasn't as eventful since we arrived around 5:30 in the afternoon - though we did go to the beach to catch the sunset. Yñigo was enjoying the breeze, the calming sound of the waves, and he couldn't get enough of the sand. We grabbed a bite in this nearby resto before making our way to the famous El Union to stock up on horchata, and smores! We also met Kiddo Cosio, the man (and not to mention, dad) behind one of the best coffee places in the Philippines. He really is living the life - a cafe by the ocean. That's a dream Bobby & I plan to achieve one day. We would literally be in El Union every day. Not only does the place offer the best horchata in the country, but this trip marks the first time Yñigo tried smores. Worth it! They've also expanded to accommodate other businesses that offer food, yoga, tattoos and more. One of the things we'd frequently get during our stay was the BEGG from Papa Bear Asian Smokehouse. Ang sarap eh... plus nagustuhan talaga ni Yñigo. We had breakfast at this up and coming place called the Coffee Library - which reminds me a lot of Xocolat. They had a wide array of coffee choices - using beans from different parts of the Philippines, and countries such as Turkey, Vietnam, Italy and Columbia. The food was pretty amazing too - and sulit for the serving. We ordered three dishes - Crispy Fish Fillet, Beef Tapa, Crispy Fish Sandwich, and two servings of coffee - Iced Mocha, and Turkish Coffee (first time to try woot woot). Mornings, afternoons and evenings were spent on the beach. This gave a chance for Yñigo to bond with his ninong and ninangs - either burying them in the sand, or running by the shore. It was a struggle to get Yñigo in the water (I think he got traumatized with waves when we encountered really big ones in Baler last year). Bobby would carry Yñigo above the water, but he'd freak out and run back to his safe place. Exploring the beach with Dada - the forever water baby! Adi building a temporary shelter to survive the scourging sun that day for Yñigo - while playing with the sand, of course. Building sand castles and digging holes for days. 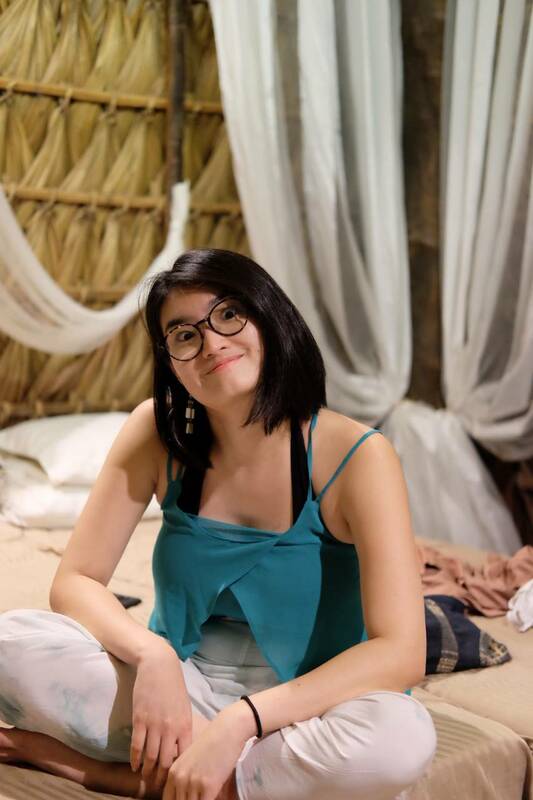 Well, she's actually Nina's friend, Melz. Ani's sleeping beside her. Anyway, funny cause Yñigo was so fond seeing someone of a different race... not to mention another nationality. I think he fell in love with her at the moment. Obviously not a fan of the water. Need Bobby to be there every step of the way hehe. With my babes of life, Nina!! Miss youuuuuu! I wouldn't know what to do without these people in our lives. With Anna, Adi, Matt, Nina, Bobby and Yñigo. Solid travel crew. I think we need more of these soon! Traveling with a toddler (with no yaya) is pretty hard, especially when you and your partner just want some time alone to enjoy each other's company. I'm usually afraid of the water, and I don't go in unless Bobby's with me. So I was so thankful having our friends there to watch Yñigo as we try to explore the sea. The waves were pretty hard. One of our friends almost got stripped down from her bathing suit because of how strong it was. Actually, it happened to me too. You can rent out boards for P 200 per hour (without instructors), or P 400 per hour (with instructor) if you want to experience surfing. We were actually with some of Nina's friends who haven't surfed (since they're from Europe) so it was nice showing them a good time by giving them the chance to be one with the ocean. Here's Adi btw catching a wave. Woot woot you go, girl! Sunscreen cause when the sun's out and shining, and if your toddler refuses to go under the shade, it'll protect his delicate skin. Beach toys so you can make sand castles, look for shells, or bury your ninong in. Beach mat, rug, towel, blanket. Anything you can use to lay in the sand, and put your things in. There aren't a lot of umbrellas scattered in the beach because that's just how it is. An ecobag or trash bag to contain your trash when you're on the beach. The coast line is so beautiful, but it can be pretty polluted (especially when there's a lot of people). Just do your part for the environment and dispose of your trash properly. Pass this practice on to your kids if you will generally frequent the beach. Ointment or medicine in case you get a jellyfish sting (I'm really praning with that). Any hobbies or activities you can do - books, watercoloring tools, a frisbee, volleyball, etc. The Surf Capital of the North was truly memorable! Bobby and I used to say that San Juan was the "Boracay of the North". It still is a millennial's hangout place outside Metro Manila. Most people would go here to surf, thrive in the sunshine, drink the night away, or do soul-searching. It's a place where the ocean stirs the heart, inspires imagination and brings peace to your soul. I knew I needed this trip. It was timely given the decisions and choices I had to make at the very start of 2018. It brought me peace and clarity. It made me realize a lot of things - one being that having time for family, and for the ones you love, should always be a priority. It also gave me a breath of fresh air. I didn't want to leave. If I could, I would move my boys and I here. Hope this post was helpful! Promise to make more comprehensive guides of La Union soon, but had to write this unforgettable trip before my memory fails me.